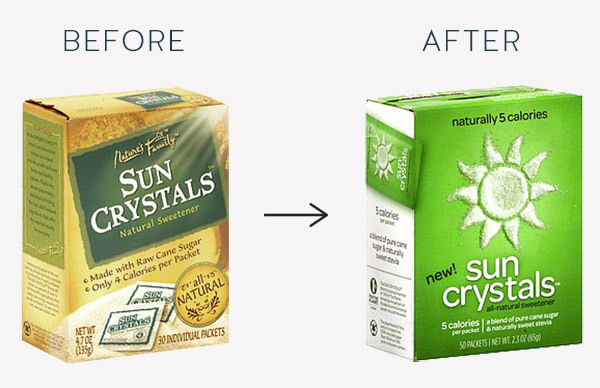 Natural food packaging design for Sun Crystals. Offering fun & lively mass appeal for a natural product by Nature's Family (Johnson & Johnson). 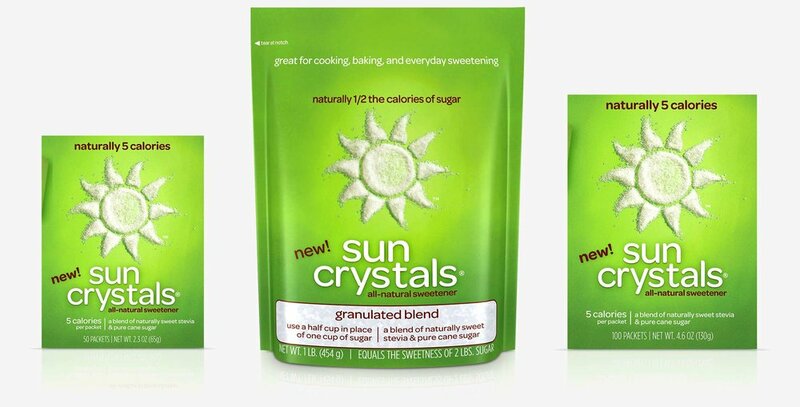 The solution is a bright and fun, easily scalable design solution maximizing the position as an approachable, natural sweetener.